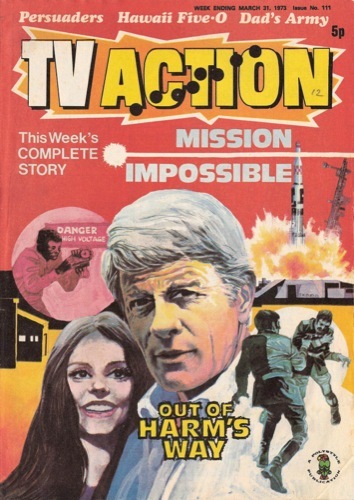 Exactly forty years ago this month, TV Action comic had The Doctor beginning a new adventure in The Glen Of Sleeping, having been rested for a couple of weeks. 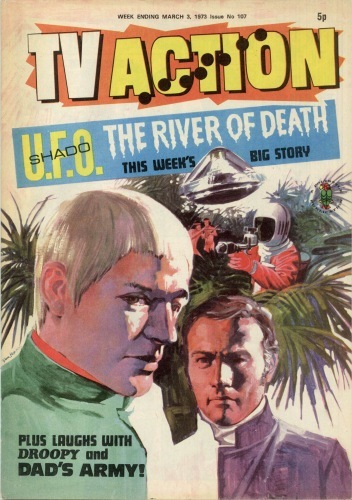 In the letters page of issue 109, reader Alan Christopher bemoaned the Yeti, who had not been seen since The Web Of Fear in 1968. 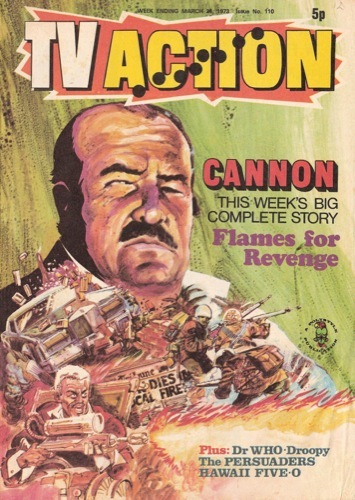 The BBC stayed tight-liped, not that there was any news anyway! 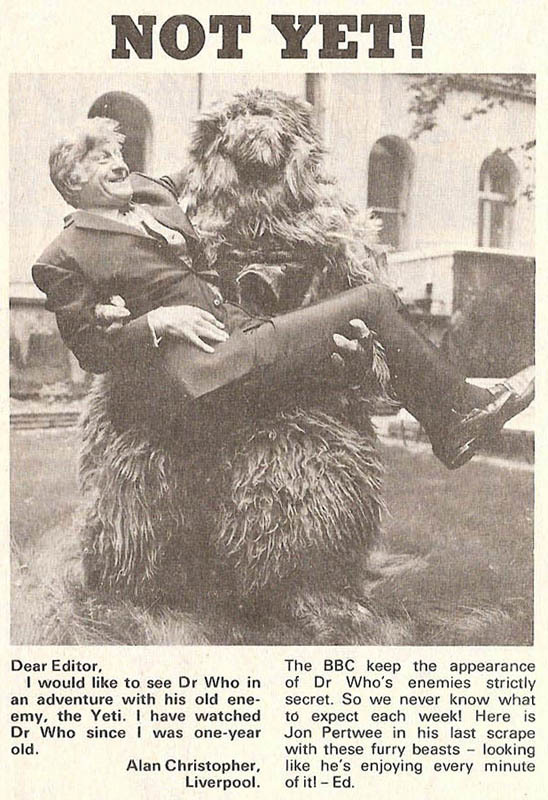 The letter was accompanied by a photo of Jon Pertwee from his casting photocall where he is being carried by a Yeti! 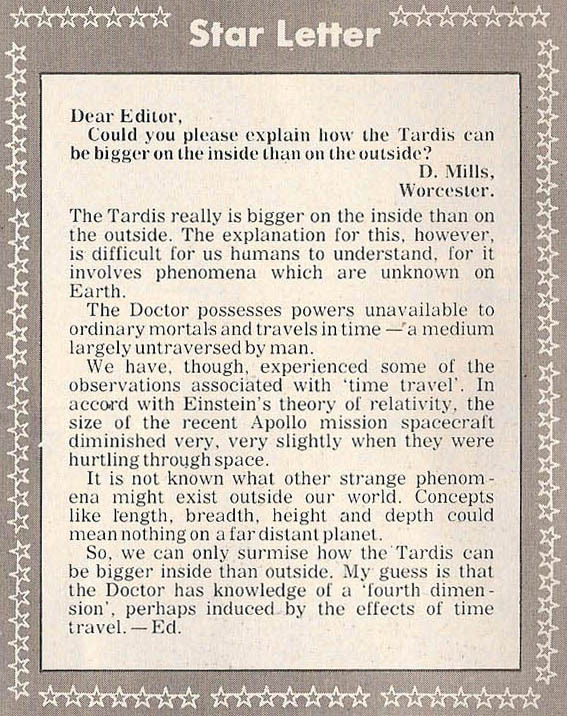 The next issue, D Mills of Worcester raised that old chestnut of how come the TARDIS is bigger on the inside! 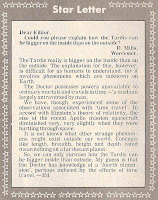 Rather than address the question head on, the editor cites Einstein and the Apollo space missions with enough smoke and mirrors to dazzle the average reader. 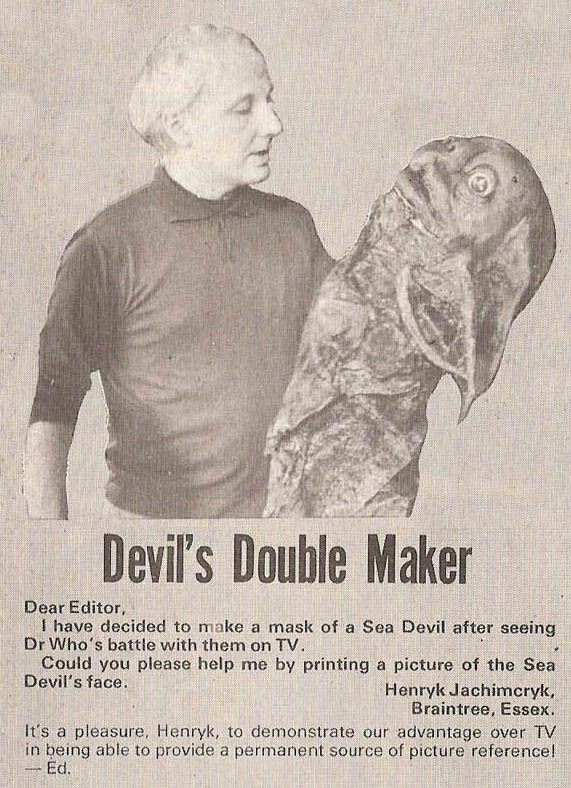 Another letter in the same issue has reader Henryk Jachimcryk of Braintree asking for a photograph of a Sea Devil to use as reference for a mask he wanted to make. 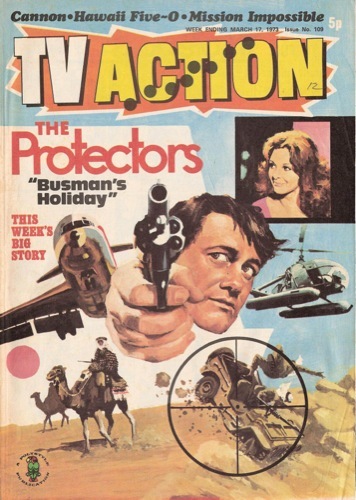 We must remember in those days the use of photographs in publications were at a premium, so were few and far between, and colour images were largely only used on covers or special pull out posters. 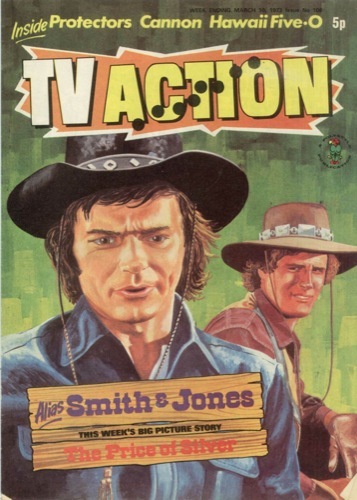 Reproduction was at the best of times poor. 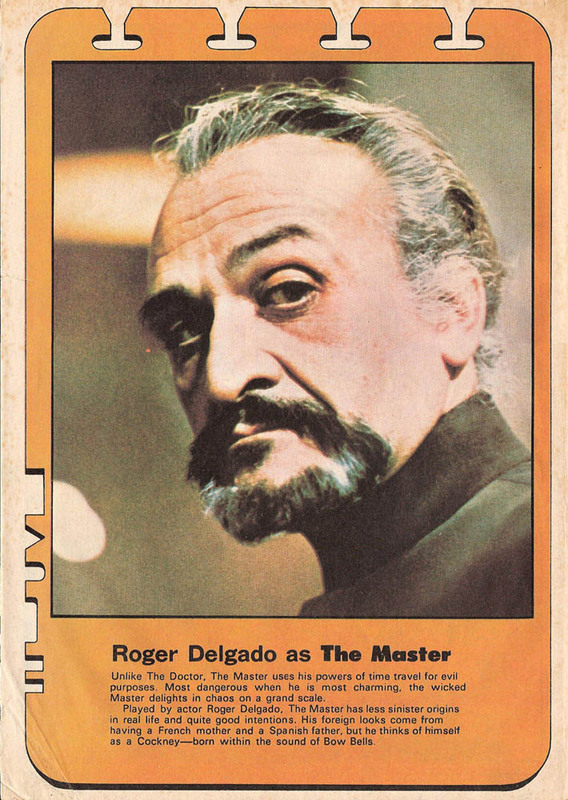 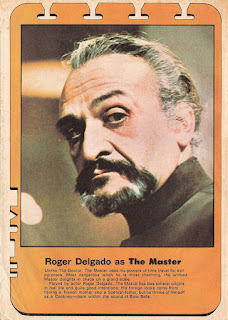 The next issue carried one of those rare colour photographs from Doctor Who, when Roger Delgardo was the subject of a back cover character profile.